Haveli Resorts is a heritage style amidst the lush green and pollution free atmosphere. Surrounded by the picturesque Aravalli mountains, the Resort is well equipped with all modren amenities and comforts for the tourist. 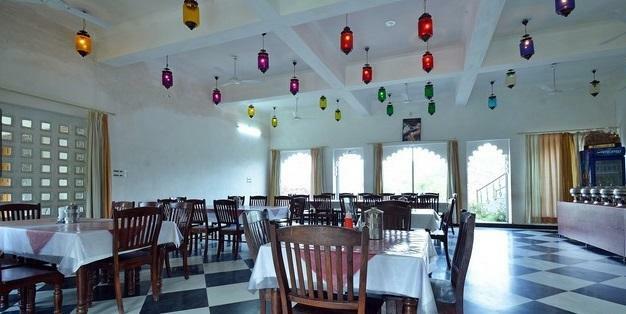 The Resort is conveniently located near Kumbhalgarh Fort. Aravalli providing the tourists varied activities from visiting the historical monuments to the wildlife & Nature trail.It is the perfect get-away for friend and family longing to experience the serenity of long walks-ways, lush greens and lazy evenings. Visiting this home-away-from-home will reveal an old age fortress, sitting aloft a hillock surrounded by nature. The Resort is just close to the Kumbhalgarh Fort. In the calmness and coolness of this resort you will find modern amenities, courteous of this resort you will find modern amenities, courteous service and a feeling of being welcome. Room Service, Currency Exchange, Backup Generator, Restaurant, Baggage Storage on Request, Disabled Facilities, Complimentary Newspapers in Lobby, Doctor on Call, Security Guard, Travel Counter. H/C Water, Cable/Satellite TV, Ceiling Fan, Desk, Safe Deposit Locker Facility, Balcony / Terrace, Daily Room Cleaning, Attached Bathroom, Television Room, Child Care. User reviews for "The Haveli Resort Udaipur"